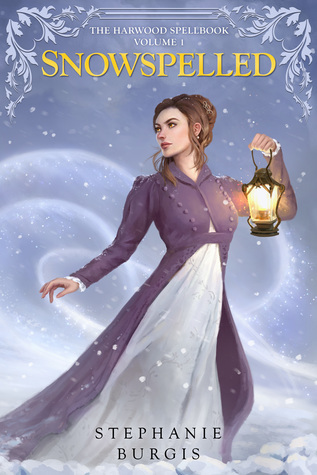 Stephanie Burgis’ recent novella Snowspelled, the first installment in The Harwood Spellbook series, is a delightful romantic fantasy book set in an alternate version of nineteenth-century England with magic. In this world, Celtic Queen Boudicca’s rebellion against the Romans succeeded, and since then, the country of Angland has been a matriarchy ruled by a group known as the Boudiccate. 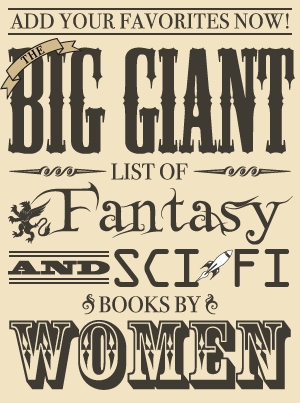 Though it is always women who handle political issues such as maintaining the peace between their nation and the elves with whom they once warred, the more creative pursuit of magic has traditionally been the domain of men. However, Cassandra Harwood always had her heart set on being a magician, and she became the first woman to enter this male-dominated sphere—until an incident left her unable to cast a single spell without risking her life. Four months after Cassandra’s magical accident, she and the rest of her family—her brother Jonathan and his wife Amy—brave a snowstorm to attend a week-long house party. Cassandra had no inclination whatsoever to accept the invitation, especially since her ex-fiancé Wrexham would be present, but her sister-in-law believed that to be exactly the reason she must go and needled her into attending. They arrive in the midst of a great commotion: their hostess’ cousin and her traveling companions are believed to be lost in the snowstorm. Cassandra joins the search party, but instead of wandering into the missing guests, she wanders atop what appears to be a snow-covered hill—but is in fact a snow-covered troll. Without her magic, Cassandra doesn’t see a way to escape when the troll awakens from his long slumber, but she attempts to speak with him in an old language and is pleased to discover he seems to understand her. She promises that if the troll lets her (and Wrexham, who had been sent to catch up with her) safely down, she’ll make sure no one else will bother him, knowing that if she makes it known that a troll is on this land, efforts will be taken to avoid disturbing him. Snowspelled is an entertaining, lighthearted tale that I found rather easy to breeze through. Though Cassandra’s first person narrative is straightforward with quite a bit of telling as the setting and characters are introduced, it moves at a good pace that is further enhanced by the fun dialogue and romantic subplot. The plot is neat and fairly predictable and the characters do not have much complexity (although Cassandra’s personal journey is satisfying), but it’s an engaging story nonetheless. It’s particularly impressive that it manages to include some rather serious subject matter—such as the challenges of strict gender roles in society and Cassandra’s great loss—while remaining light and optimistic overall. The main way it achieves this is by focusing on themes related to progress and moving forward, both as a society and an individual. It’s clear that Cassandra was devastated by her inability to continue practicing magic: her identity and sense of purpose were strongly tied to being a magician, a lifelong goal she’d fought tooth and nail to make into reality. This novella picks up four months after this disaster and two months after Cassandra broke off her engagement because she thought that would be best for Wrexham, and at this time, she’s beginning to put the pieces of her life back together. Snowspelled is largely about Cassandra’s acceptance of her situation and realization that she is more—and has more—than her innate magical ability. This is probably at least partially due to time, but the fact that Cassandra has a wonderful support system is probably also responsible. She and her brother Jonathan, a historian, have always been close; the two siblings both had career aspirations considered unsuitable for their respective sexes since they were young (and both entered their respective desired fields). Though Cassandra seems to have very little in common with her sister-in-law Amy, a politician, the two get along well with Amy’s perception and kindness being a great help to Cassandra. Of course, there’s also Wrexham, a fellow magician with whom she competed for the top spot in school, and their romance was one of the highlights of the novel. Wrexham obviously still wants to be with Cassandra (and both Amy and their hostess seem to be trying to put them in each other’s paths), but he pursues her without being overly aggressive, jealous, or the type of man who won’t take ‘no’ for an answer. Their interactions are quite amusing, and though their problems seem as though they could have been easily resolved had they just talked to one another, I found it believable that they did not under the circumstances. Cassandra has a pattern of deciding that those close to her would be better off if they did not become involved in her problems, and because of that, she doesn’t fill them in and allow them the opportunity to make their own choices about whether or not to help her. This tendency to go it alone is one obstacle that Cassandra faces, and in general, I found her an imperfect but sympathetic and (mostly) realistic character. The way she lost her magic was her own fault and did seem rather foolish, but I also felt that it worked given her desperation, stubbornness, and pride. There was one case of her missing the obvious that I didn’t find convincing: although it was explained as being overlooked due to her lack of interest in all matters related to politics, I didn’t find that reasoning entirely plausible since I’d already assumed what she failed to realize from just a few chapters of her first person narrative. It was not at all a complex concept, and although I could understand how never having considered this fit with her personality, I ultimately couldn’t quite swallow that she’d never have thought of it. The handling of the society’s strict adherence to gender roles is also forward-looking instead of making the story heavy. Both men and women face challenges because of the belief that only women are pragmatic enough for politics and only men are imaginative enough for magic, but it’s about the beginning of breaking down these barriers. Cassandra may have been the first woman to have the persistence, privilege, and support necessary to actually become a magician, but she’s not the first woman to have this capability—nor will she be the last and only woman to become a magician. Snowspelled is an enchanting, well-done novella that remains light even when dealing with some serious situations. Though it didn’t have enough complexity to be a standout book for me personally, I enjoyed it and admire Stephanie Burgis’ skill in writing a hopeful, well-paced story founded on palpable real-world issues. It’s the perfect match when one is in the mood for a fairly short, diverting story with a sense of optimism, and I am definitely interested in finding out what happens to Cassandra in Thornbound (scheduled for release in 2018). Where I got my reading copy: Ebook ARC from the author.